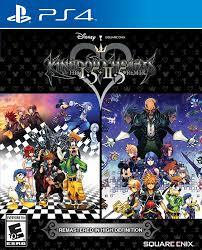 It is officially March 9th in Japan, so Kingdom Hearts HD 1.5 + 2.5 ReMIX has been released! Originally announced in October 2016 during the Paris Games Week, the reveal of this collection was a delight for many fans, mainly because of the porting issues found in the PlayStation 3 collections. Players can now experience the Dark Seeker Saga on one console thanks to both this collection and Kingdom Hearts HD 2.8 Final Chapter Prologue, which released in January of this year. The smooth 60 frames per second gameplay is also an added bonus for all players! For those interested, you can view the trophy list. Gameplay footage of Kingdom Hearts Final Mix, Kingdom Hearts Re:Chain of Memories, Kingdom Hearts II Final Mix, and Kingdom Hearts Birth by Sleep Final Mix has been uploaded to YouTube by Square Enix, and one lucky fan who got the game early has also uploaded some early-game footage of Kingdom Hearts Final Mix. As always, feel free to take part in the discussion on our forums. We hope this collection will bring in many newcomers to the franchise, and possibly reignite veterans' passion for the series! 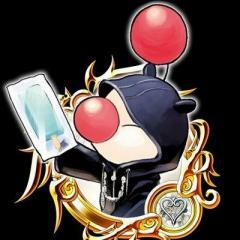 Let's hope that the international Kingdom Hearts social media pages provide similar gameplay footage before release! Im so excited for this not only for the 60 fps gameplay but this is one of the last steps to KH 3! Congrats to Nomura. He did it...excluding the unfinished UX. Thank you for showing us this, Shinobi! We're almost there everyone, we're almost there! 21 Who Is Your Favorite Phantom Thieves Member? 1. Who Is Your Favorite Phantom Thieves Member?